The House (1) and House (2). 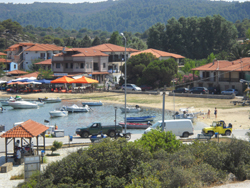 The House (1) is 30 meters from the beach and House (2) is 150 meters further back to a green area. 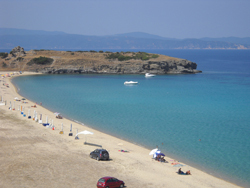 The beaches of Trani Ammouda with clean turquoise waters and each year gets Blue Flag by the European Union. (House 1). 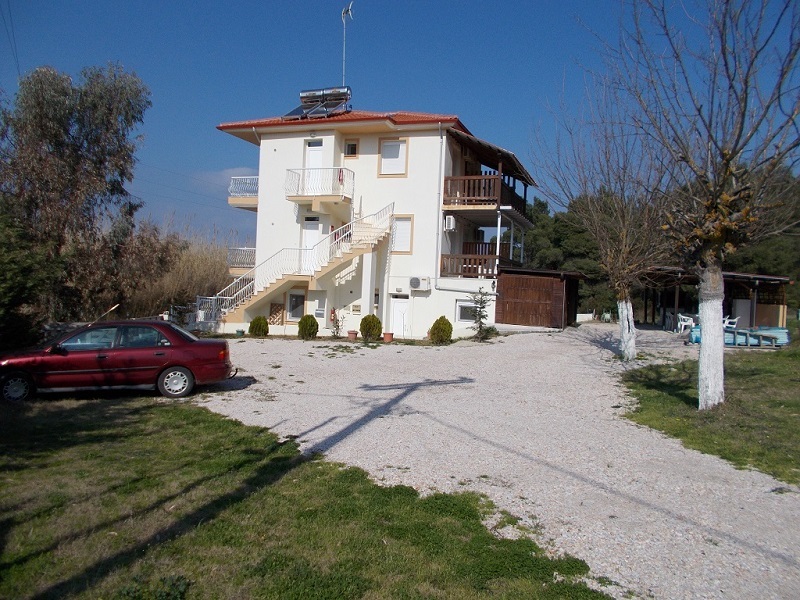 The apartment with the sea view has one bedroom with two (2) double beds and seperate fully equipped large kitchen (the kitchen has a double sofa bed with bunk bed) and bathroom. 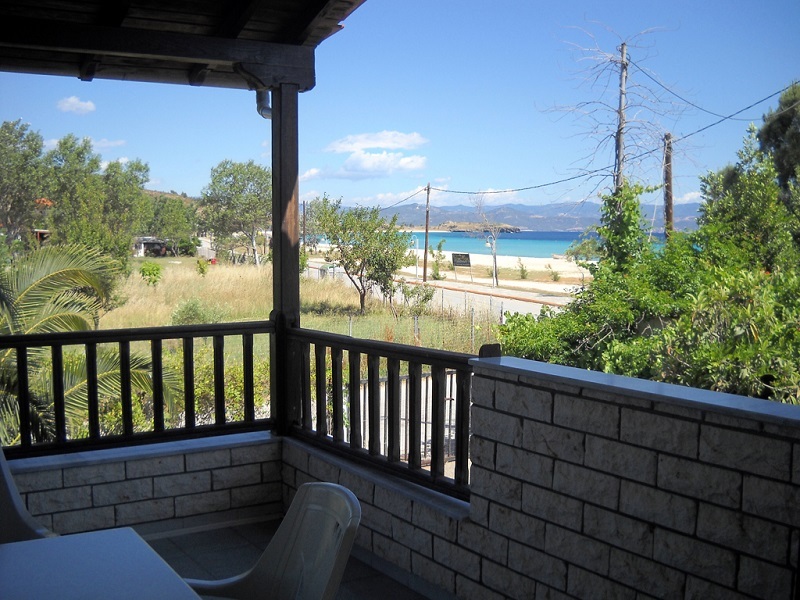 Also has its own large veranda with great sea view, a sofa, dinning table and a swing. The studio is a large room and it includes a double bed , a single bed and a double sofa bed and fully equipped kitchen with dinning table and bathroom. Also has its own large veranda with sofa , dinning table and a swing. (House 2). 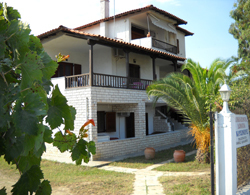 Is newly built (finished in 2011), three (3) keys rated and it consists by six (6) apartments. Its unique quality construction has followed the most recent energy conservation specifications. Two (2) apartments on the first floor and two (2) apartments on the second floor with a view. Each apartment have a bedroom with a double bed and seperate living room with a double sofa bed and with a fully equipped kitchen, and bathroom. Every apartment has one balkony in the bedroom and one balkony in the kitchen. In the ground floor, we have two (2) large apartments. Each apartment have a bedroom with a double bed, a single bed and seperate living room with a double bed, a single bed, and fully equipped kitchen, and bathroom. Every apartment has a large veranda with dinning table and a swing. We look forward to welcoming you on the beach Trani Ammouda. Come for an unforgettable holiday in one of the most beautiful beaches. The beach is sandy and into the sea. 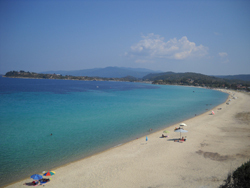 Prices offered start from 40€ up to 130€ per day depending on the period and persons per apartment. These prices refer to four (4) stayings and above). The Pricelist below is for first (1st) and second (2nd) floor.